Recent years have seen an expansion of interest in non-pharmacological interventions for attention-deficit/hyperactivity disorder (ADHD). Although considerable treatment development has focused on cognitive training programs, compelling evidence indicates that intense aerobic exercise enhances brain structure and function, and as such, might be beneficial to children with ADHD. This paper reviews evidence for a direct impact of exercise on neural functioning and preliminary evidence that exercise may have positive effects on children with ADHD. At present, data are promising and support the need for further study, but are insufficient to recommend widespread use of such interventions for children with ADHD. 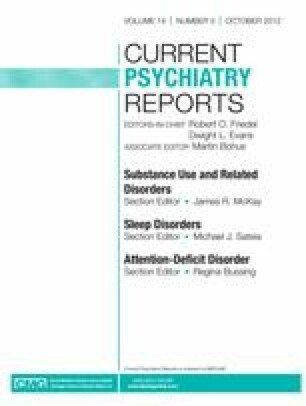 This work was supported by grant numbers R21/R33 MH085898 and R01 MH68286 from the National Institute of Mental Health (NIMH) to Jeffrey M. Halperin. The content is solely the responsibility of the authors and does not necessarily represent the official views of NIMH. O. G. Berwid: none; J. M. Halperin: grant from NIMH, payment for lectures from Cereb, and travel/accommodations/meeting expenses reimbursed by Eunethydis. Halperin JM, Bedard AC, Curchack-Lichtin JT. Preventive interventions for ADHD: a neurodevelopmental perspective. Neurotherapeutics. 2012. doi: 10.1007/s13311-012-0123-z. Halperin JM, Marks DJ, Bedard AC, et al. Training executive, attention, and motor skills: a proof-of-concept study in preschool children with ADHD. J Atten Disord. 2012. doi: 10.1177/1087054711435681. Smith AL, Hoza B, Linnea K, et al. Pilot physical activity intervention reduces severity of ADHD symptoms in young children. J Atten Disord. 2011. doi: 10.1177/1087054711417395.